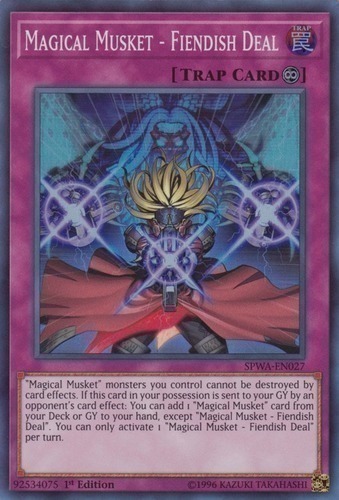 "Magical Musket" monsters you control cannot be destroyed by card effects. If this card in your possession is sent to your GY by an opponent's card effect: You can add 1 "Magical Musket" card from your Deck or GY to your hand, except "Magical Musket - Fiendish Deal". You can only activate 1 "Magical Musket - Fiendish Deal" per turn.